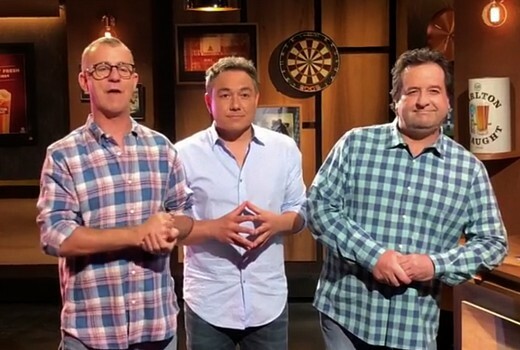 Front Bar host Mick Molloy would love to have Sam Newman as a guest if The Footy Show does not return. “If that show wasn’t to go ahead that would be a massive blow for Melbourne TV — a sea change,” he told the Herald Sun. “I really like those guys and I like Sam and what he said was quite moving. “But you know what in a selfish way I thought ‘if that doesn’t happen he would be a bloody good guest for The Front Bar’. Molloy is also considering a cricket version of The Front Bar with Andy Maher and Sam Pang over summer. The team previously fronted Winter Olympics and Commonwealth Games editions for Seven. Think a cricket version would do well. I don’t watch alot of sport but is there a dedicated cricket show on FTA? I brought this idea up months ago I was interested about the sponsorship as CUB don’t do cricket anymore apparently. It’s funny a while ago I was thinking Billy Brownless would be a good guest on The Front Bar if he doesn’t continue on The Footy Show. Loves a laugh and a froffie and plenty of material from his playing days.